Love Orlando but looking for a tranquil setting to unwind in? In that case I have the home for you! 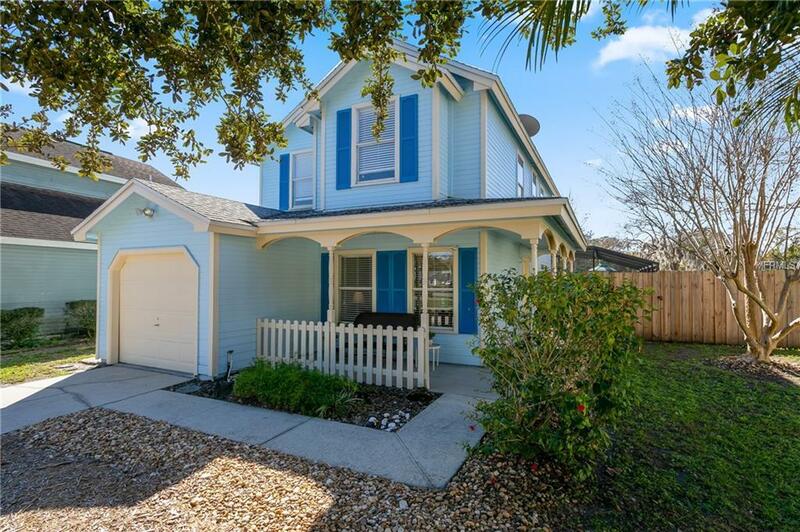 This 3 bedroom 2 and a half bath cottage style home is just waiting on you. The extended driveway and tree lined yard welcome you to the property, follow the walkway to your covered porch perfect for a porch swing to sit in and watch the world go by. Inside you'll notice the entire home is illuminated with natural light from the many windows. From the living room you make your way through the formal dining area to the kitchen. The kitchen has glass sliding doors allowing for light to flow in and giving you access to the screened in pool deck. Relax under the covered porch and watch the sunset over the pond and conservation behind your new home! Upstairs you will find a large floor master bedroom with ensuite. The master bedroom can comfortably fit a king size bed and furnitire with room too. Upstairs you will also find 2 guest rooms and an updated guest bathroom the 1/2 bath downstairs has also been updated. Don't miss your chance to own this picturesque property!